Australia’s premier weekend of cycling set for growth across elite and recreational rides. Signature Sport welcomes the Andrews Labor Government funding extension to support the delivery of the Cadel Evans Great Ocean Road Race until at least 2022. The Visit Victoria initiative developed in conjunction with Signature Sport since its inception in 2015 has fast become a pillar of Australia’s major events calendar. This Victorian State Government funding extension means Australian fans will continue to see the best WorldTour teams compete in Victoria in the unpredictable and enthralling modern-day classic. 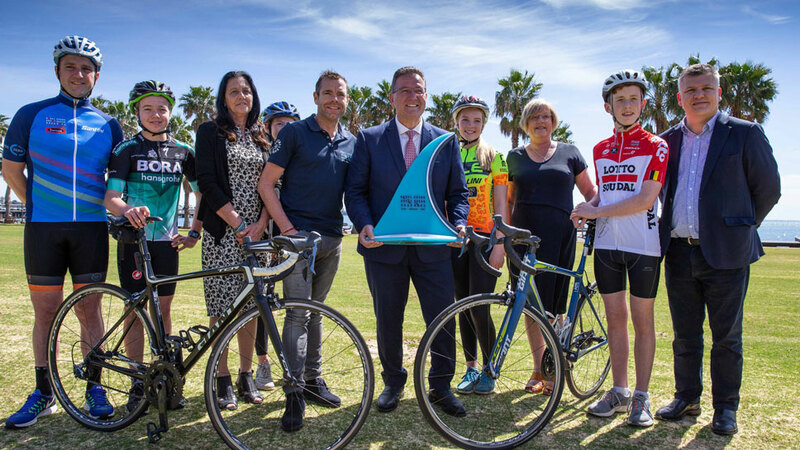 Former World Champion and 2011 Tour de France winner, Cadel Evans AM, was thrilled with the funding extension which will see the event remain in the Geelong and Surf Coast Region until 2022. “The Cadel Evans Great Ocean Road Race is an event that allows fans the opportunity to watch the world’s best male and female cyclists compete on one of the world’s best courses, as well as being able to take part themselves. “We are delighted that the Victorian Government continues to support the race, and shares our vision to grow the event into the world’s best modern one-day classic. We look forward to working together to take the event from strength to strength”. The Cadel Evans Great Ocean Road Race is regarded as one of the leading one-day Classic races outside of Europe and is the opening one-day race of the UCI WorldTour calendar. The 2019 Cadel Evans Great Ocean Road Race will be held from 24 January – 27 January.